The long version of this story could fill pages but the short version is this: In October, the Northern Cheyenne tribal council voted to remove its tribal president. In 2007 a Northern Cheynne tribal president had to be forcibly removed from tribal offices. In 2013, a president’s removal hearing took place while he was in the hospital in Billings for an appendectomy. “They’ve been going through presidents here a lot in the past 20 years,” said tribal member Terry Beartusk. This time, President Lawrence Jace Killsback said he wouldn’t go. Killsback was involved in both the 2007 and 2013 impeachments as a councilman voting for removal but said he now regrets his role. He challenged his own removal in tribal court, involving the third branch of the Northern Cheyenne government, and the court agreed with him. He didn’t go anywhere but the council insisted he was no longer president. Communication between the two branches of government came to a standstill for 10 days. Eventually, it came down to the Bureau of Indian Affairs. Originally the BIA, the federal agency charged with administering tribal land and tribes’ relationships with the federal government, recognized Killsback. But it changed its stance after receiving a legal opinion from the tribal council’s lawyer. The BIA refused to conduct further business with Killsback. The president insisted the proceedings were illegal but he left office. He said if he hadn’t, he would’ve been forced out. After all, the BIA wields considerable power on the reservation. It even runs the reservation’s police force. Killsback’s story didn’t stop there. The tribe held a special election in January to replace the ousted leader. Killsback ran and won again by just two votes, returning to office in mid-January. This all occurred during a winter when the reservation was battered by snow, leaving many people stuck in their homes for days, with shortages of everything from propane to hay to blankets. Facebook was flooded with pleas for donations. One of Killsback’s first actions when he returned to office was to declare a state of emergency on the reservation. But the story isn’t about Killsback, an undoubtedly controversial figure. The story is complicated, but made more so with the involvement of the federal government, which made the final decision on the removal without consulting tribal members and spurred new debate on how the checks and balances within the Northern Cheyenne constitution actually work. That move has left a growing group of tribal members unsure about the structure of their tribal government. 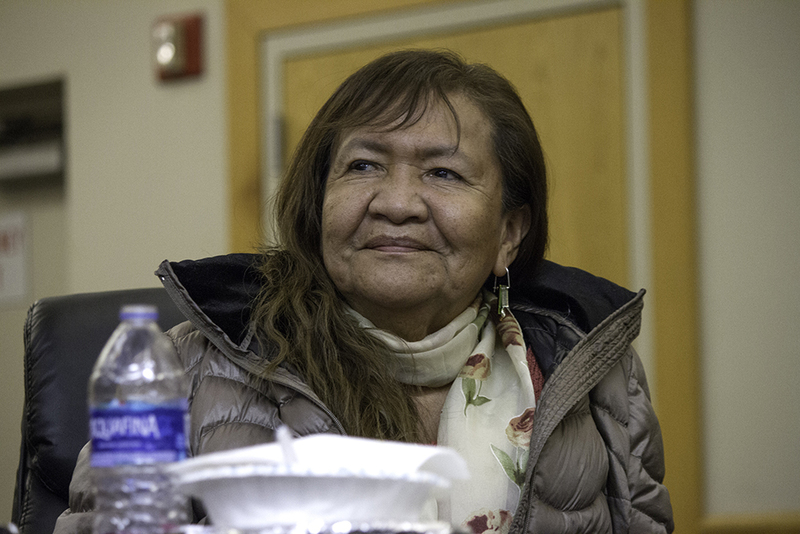 It has further complicated the close relationship between the Northern Cheyenne and the federal government, with voters and the judicial branch asking if the BIA and tribal council hold too much power in the current system. All tribes have a complicated, if not conflicted, relationship with the BIA. A lot of tribes have worked for decades separating themselves from the BIA, taking over essential institutions like schools, hospitals and the police force. On Northern Cheyenne, the relationship between tribal government and the BIA remains close. Since 1975, tribes have had the opportunity to take over public operations through Public Law 93-638, more commonly referred to as the ‘638 process. The Northern Cheyenne recently invoked the law to take over the reservation’s transportation department. The police force on Northern Cheyenne, however, is still run by the BIA. The Crow reservation is the only other in Montana that has a BIA police force, although the BIA website says it also provides “technical assistance” to justice and law enforcement programs on the Fort Peck, Fort Belknap and Blackfeet reservations. The tribe relies on the BIA for a lot of things. 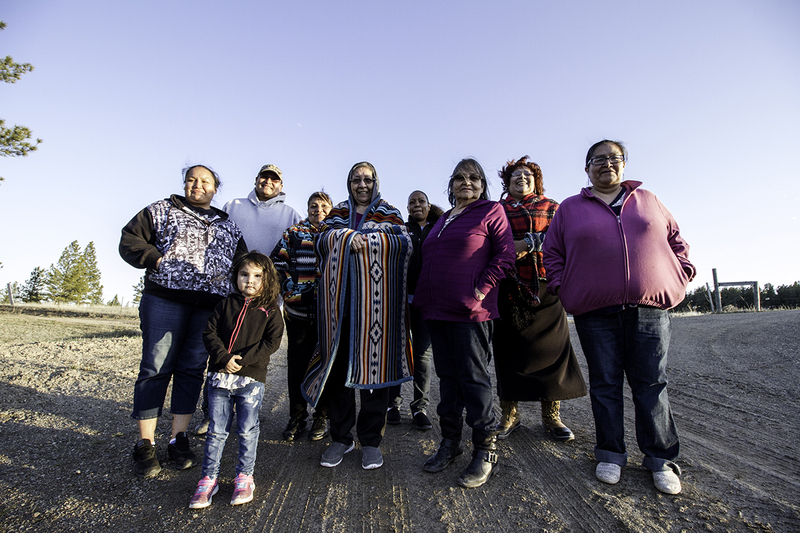 And while many Northern Cheyenne believe the BIA has too much power and hope the tribe can someday operate independently from the federal government, they also say the tribe wouldn’t be able to handle that kind of change overnight. The Cheyenne word for the Northern Cheyenne people is Tsis tsis’tas, meaning “the beautiful people.” And the Northern Cheyenne Indian Reservation is the Big Sky Country you see in Westerns: horses perched atop dry hills, pines and the Tongue River rolling wide and flat, south toward a reservoir. It’s a 444,000-acre small town, with a single grocery store and a Conoco. It’s home to roughly 5,000 Cheyenne people, many of whom want the same things: industry and economic opportunities, education for the tribe’s young people and a strong tribal government that cares for and stands up for the people. Yet, tribal politics are rife with disagreement. While divisions at local, state and national levels run deep, it can all be intensified on reservations, which are typically small and close-knit. Those ties can lead to the political becoming personal and vice versa. This makes being in tribal government a fraught job. 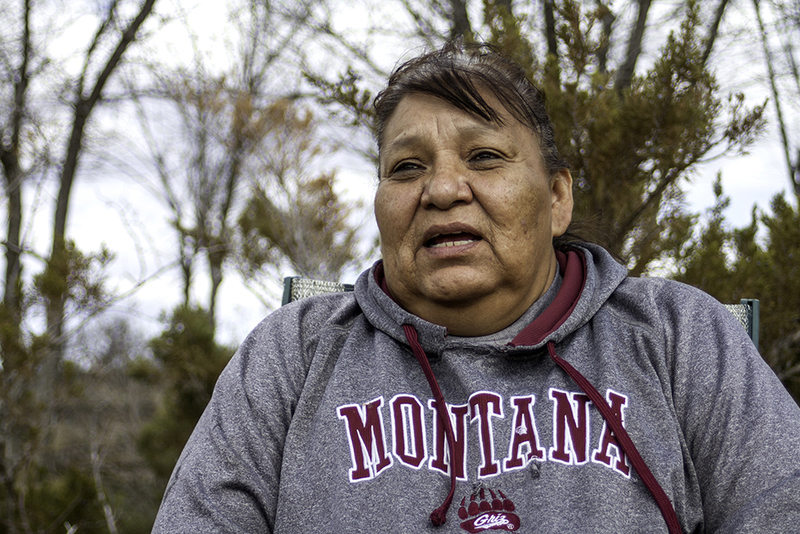 It’s easy to write off tribal governments as “dysfunctional.” However, people from the reservation, including University of Montana student Courtney LittleAxe, recognize that tribes are still young governments — less than a century old — and adapting to foreign government models. Stella Killsontop has multiple children and grandchildren, and is a Cheyenne Warrior Woman to ensure a good future for the next generations. Traditional Cheyenne governance fell to a council of 44 chiefs, considered the wisest and most peaceful men of the tribe. Each chief selected his successor, a candidate who couldn’t be his son. A chief was judged not only on his character, but the characters of his wife and children. The chiefs traditionally ate last at gatherings and accumulated little wealth. The chiefs still exist, but the position no longer holds any political power. And the Northern Cheyenne Tribal Constitution reflects none of this traditional structure. It was written under the Indian Reorganization Act in 1934 and has since been reformed twice. Critics from tribes all over the country have said that the “boilerplate” constitutions the federal government encouraged tribes to adopt in 1934 conflict with tribal values and traditional governing systems. Ian Record is the director of the National Congress of American Indians’ Partnership for Tribal Governance, which means he spends his days working with tribes on solving problems in their governing systems. He said more and more tribes are reconsidering their constitutions and moving to reclaim traditional governance systems. Record said this experience is common among tribes with reorganization act constitutions. Record said he tells tribes to consider two questions when looking at their governments: Does this system make sense to the tribe culturally? And are these governing tools effective? The newly reinstated tribal president, Killsback, minces no words on the Indian Reorganization Act and the systems that came from it. “The federal government, I believe, chose to pass the Indian Reorganization Act as a means to continue its genocide of the American Indian,” Killsback said. The BIA is ingrained in much of the Northern Cheyenne constitution, which gives the agency final say in many of the tribe’s decisions. 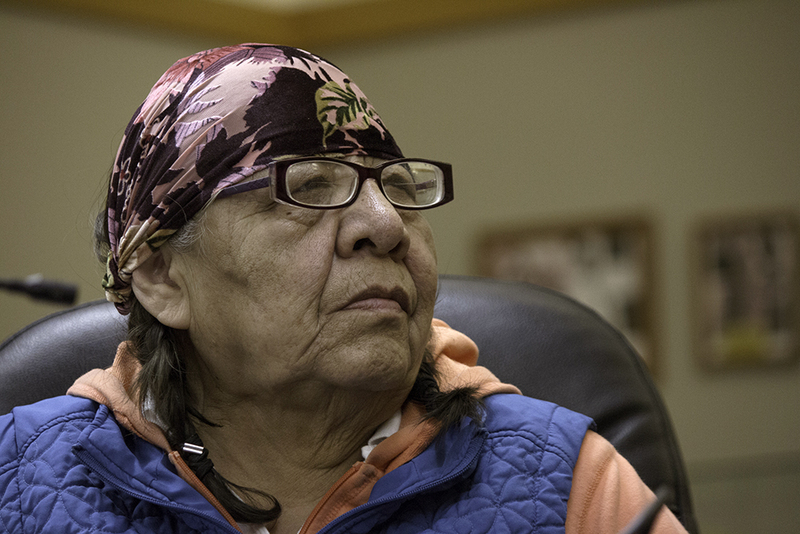 When asked why the tribal council took the matter of Killsback’s removal to the BIA instead of to tribal court, council spokesman Sheldon King said it was the simplest way to settle the matter. “If they recognize [the removal] then we can move on,” he said. The BIA did so on Oct. 16, citing a legal opinion from John Schumacher of Schumacher Law Firm in Riverton, Wyoming, who represented the council. Schumacher asserted that the council, as outlined in the original tribal constitution, had supreme authority. The tribal court had no power in this situation, according to Schumacher’s opinion. The Northern Cheyenne Constitutional Court disagreed. On April 9, the court released a judgment doubling down on its original opinion that the removal was illegal. The court’s purview includes any constitutional disputes, it argues, which would be a necessary government check and balance. At first, only two women sat in city council chambers on a Wednesday evening in March. Over the course of the next hour or so, more and more trickled into this meeting, until almost 20 women of all ages, and a few male supporters, were gathered in the large room. The Cheyenne Women Warriors originally gathered out of protest of Killsback’s removal. “As community members, we knew that our council was not being fair and not being honest,” Diane Spotted Elk said. Doris Medicine Bull added that the BIA shouldn’t have gotten involved in the dispute without consulting the general tribal population first. She said the agency is generally a hindrance to progress. “Whenever we want to move forward and make progress, the BIA is there to stop us, say ‘You’re not capable,’” Medicine Bull said. Now that Killsback is back in office, the group is focused on taking care of the community — anything from feeding the homeless to planning a program for young women — and holding the tribal council accountable. Sometimes, that’s as simple as sitting in on meetings and asking questions. The women laughed about how a group of gentle women seem to intimidate the council. The Cheyenne Women Warriors have a list of specific changes they’d like to see in the tribal constitution, which they said will increase accountability. This includes strengthening checks and balances, delegating more specific powers to the president and setting new standards for elected officials, including that they hold at least a two-year degree and have no felony convictions. Currently, the only requirements to sit on the tribal council are to be over 21 years old and an enrolled tribal member. The only way to reform the tribal constitution is through an election called by the Secretary of the Interior at the request of either two-thirds of the tribal council or one-third of eligible voters via petition. The tribe has no constitutional recourse against the Secretary’s decisions. The tribal council, according to King, sends everything it signs to the BIA for approval. Killsback argues that the tribal council gives too much power away to the BIA by doing this. He said only certain types of resolutions and ordinances have to be sent to the BIA, and by sending more than is required, the tribe is handing over authority. Ian Record of the National Congress of American Indians said many Indian Reorganization Act constitutions gave significant veto power over to the federal government. King, the tribe’s legislative branch spokesman, said the tribe has sway over the BIA too. When the council became dissatisfied with the chief of police last summer, it threatened to take the police force into tribal control and voted to remove the chief of police. Killsback said contracting the BIA police out to the tribe is one of his priorities. But King said the tribal council is no longer pursuing invoking the ‘638 law to take over the police department because they don’t want employees to lose federal benefits. The BIA is far from stable itself. The most recent director resigned without reason on April 24 after just six months on the job. (Interior Secretary and former Republican Montana legislator Ryan Zinke didn’t appoint a director until seven months into his term.) High Country News reported in March that the BIA, according to workplace surveys, had the highest prevalence of sexual harassment out of all Department of the Interior divisions. The tribal council passed a resolution recommending removal of the BIA superintendent for the Northern Cheyenne, Michael Addy. King said Addy was unfair in allotment and leasing of lands, and siding with large ranchers and against the tribal council. Addy was later removed. Jace Killsback was ousted from his role as tribal president last October, only to be reelected in January. He said he chose to get into tribal politics to help his people. When he was re-elected in January, Jace Killsback won by two votes. When the tribal council submitted its legal opinion to the BIA, it attached, as a courtesy, 171 pages of complaints against Killsback, which has never been publicly released, but which centered around mismanagement of tribal money and alleged slander of council members. Another key complaint made by the tribal council was that Killsback didn’t attend his own removal hearing. For Sheldon King, this cemented his decision to vote for the removal. Killsback’s opponent challenged the legitimacy of his re-election in January on the basis that the election cycle was interrupted by federal holidays and absentee ballots were delayed. But for now, Killsback is operating as business as usual. Fisher said when he was elected to tribal council, his community members’ view of him shifted. He became a politician — a bad guy. The anxiety of this term has taken its toll on him. In January, Fisher spent time in the hospital due to internal bleeding, which he said was caused by stress during the conflict around Killsback’s second election and inauguration. The doctors pumped two units of blood into him, and he eventually returned to work. So if it’s such a mess, why get into tribal politics in the first place? The Cheyenne Women Warriors initially formed to support Jace Killsback during his removal from office, and now continue to support him as well as other community members. They want to secure a good future for the next generations. For some, the recent upheaval serves as an inspiration to dip a toe into politics. Terry Beartusk has worn a lot of hats — substance abuse counselor, co-founder of Chief Dull Knife Tribal College and its original president, and director of the tribal solid waste program. But now he’s thinking about trying on a new one and running for tribal council in November. His father was a councilman and vice president of the tribe, and Beartusk said back then, tribal politics were much more stable. In the past 15 years, he said, something has changed. Beartusk said that the BIA signing off on every tribal decision is “the most insane and outdated process,” but he’s hesitant to say the tribe should be separated entirely from the BIA. He also said he fears that if the federal government was no longer setting the boundaries of tribal sovereignty, individual states would start to infringe on the rights of tribes. 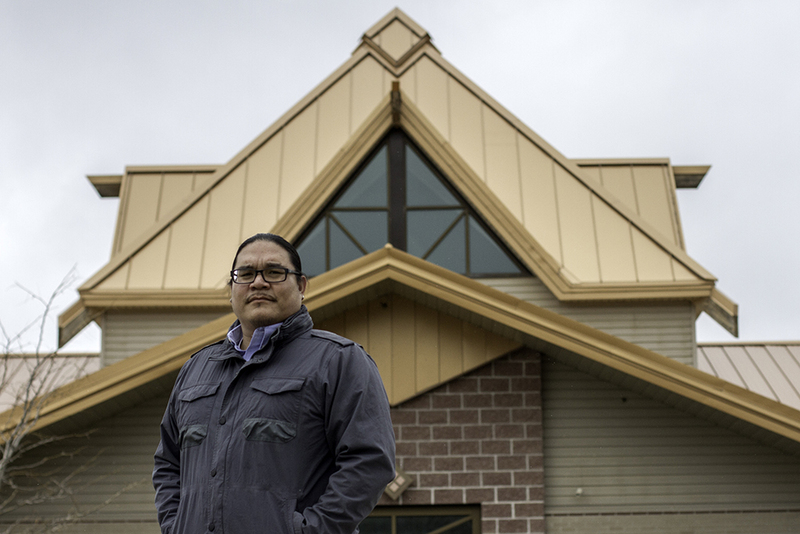 Darren Means, who now lives on the Crow reservation, called the BIA “kind of a necessary evil” because it has the resources to check corruption in tribal governments and maintains many necessary services. Still, he said he’d like to see tribes gain more independence and eventually find partnerships with other tribal nations. “If we could do that, I think we would be an outstanding force of change,” Means said. Then there are tribal members like Tom King Jr., who seems fed up with tribal politics all together. King said he’s been working for three tribal administrations to try to strengthen laws around truancy and get all Northern Cheyenne kids attending school regularly, but that his efforts have gone nowhere. “It’s a pure, unadulterated popularity contest,” King said of tribal elections. He said there should be more standards for who can run for tribal government, and that the people should look at someone’s background and qualifications when picking leaders. Instead, the voters pick politicians based on their relationships or friendships, King said. Without blinking, he named four things on every politician’s platform — education, elders, economic development and tradition. None of it rings true to him anymore. In the case of Killsback’s removal, King believes it was justified, but he also felt the tribal council didn’t properly educate the public about its reasoning and hasn’t proven itself trustworthy. People on the reservation are under the impression they’re sovereign, King said. He scoffed. Still, King has faith in the tribe.